With this one I tried to experiment more with more panels and content. 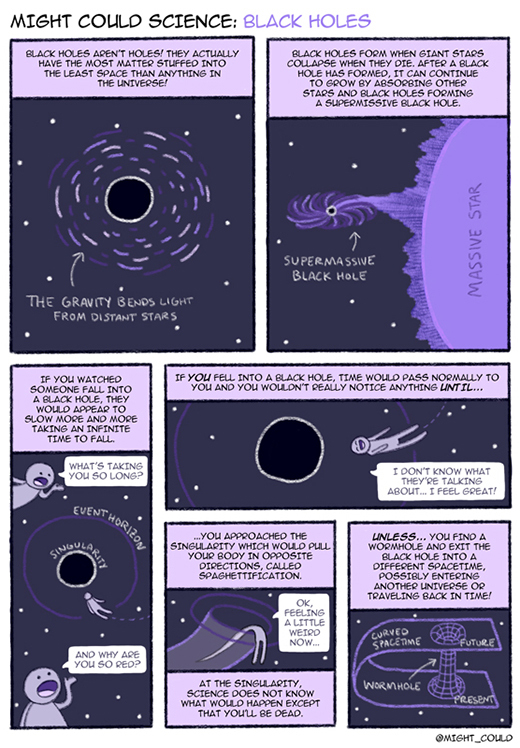 Black holes are insane! And fascinating! And kinda scary! You can follow this comic series here on my blog, as well as on Twitter and Instagram with the hashtag, #MightCouldScience, and you can see the process behind how these comics are made, plus work-in-progress shots (live the shot above), time lapse drawing videos, and live PSD files of each comic as a patron on my Patreon page!